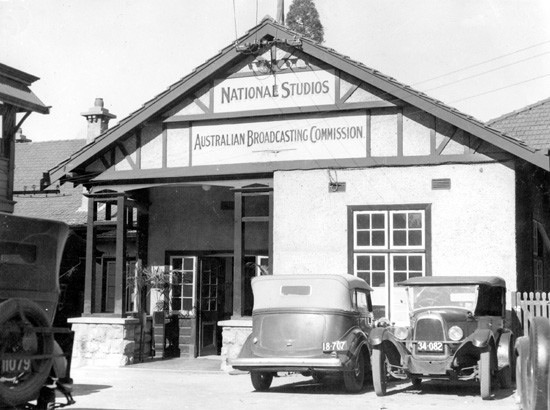 The ABC studios and 6WF moved again in 1937 to The Returned Soldiers’ Institute, also known as the Stirling Institute on St George’s Terrace, behind the Department of Agriculture and located in what was once the State’s only botanical gardens, Stirling Gardens, west of the Government House Ballroom and north of the Supreme Court buildings. The building was erected 21 years earlier and became the headquarters of the WA Branch of the Returned Sailors and Soldiers Imperial League of Australia (RSL) in 1918. The RSL moved to the original ANZAC House at 28 St George’s Terrace in 1934. The ABC then leased the institute building from the State Government and renamed it Broadcast House, though as early as 1938, the Perth City Council had its eyes on the site for a new Town Hall. After the ABC had moved to its new studios in Adelaide Terrace, construction on Council House began on the Stirling Gardens site in 1961. Rather than build a new town hall on the site, the Perth Concert Hall was built to the east of Government House Gardens, and opened in 1973. According to actor Rick Hearder, there was a big tree growing in the drama studio that extending through the roof, to the outside world. A wishing fountain was located in the gardens outside, with the associated pool sprinkled with pennies. It was a time when many derelicts frequented the gardens, fossicking for empty cool drink bottles to return for the deposit, or checking out the rubbish bins for food scraps… and maybe pilfer from the wishing fountain? Some could be found sleeping in the bushes or begging for a handout. Drinking fountains could be found in the park and underground toilets on the corner of Barrack and St George’s Terrace. There were also the outside toilets associated with the ABC. So the homeless had a variety of free services, though obviously not a change of clothing or a hot shower. As sad as their plight may have been, and the drab fashions of the era, they certainly added some colour to the surroundings… for they seemed to be an eccentric lot with uncontrollable hair and attire direct out of a Charles Dickens novel. 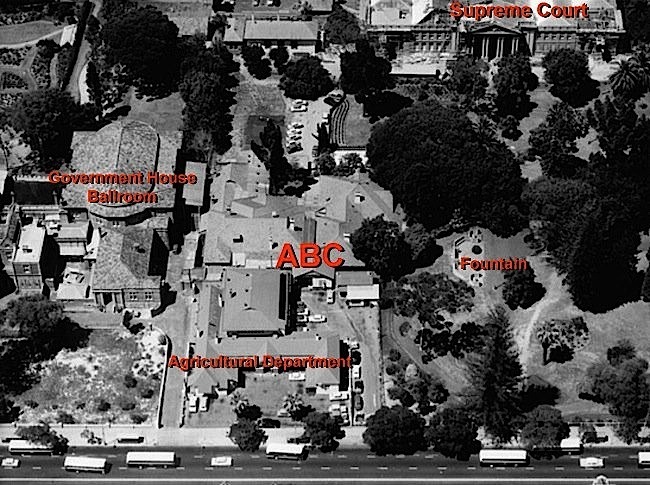 In contrast, on the other side of the ABC was located the Government House Ballroom, a venue more often attended by the upper crust, sitting next to the Governor’s residence, which also accommodated the Queen on her 1954 tour. In 1938 a chance audition in Perth gave John Juan (1901-1979) entry to the world of radio as an announcer on 6WF. His friendly on-air manner endeared him to thousands of Western Australians who warmed to his sentimental signature tunes, “There’ll be a Silver Lining”, “We’ll Meet Again” and “Up with the Curtain”. Listeners liked his breezy presentation, robust humour and endless variety of jokes. His most popular programs were ‘The Breakfast Session’, ‘The Hospital Hour’ and ‘I’ll Pay That One’. In accordance with Commonwealth regulations, he retired in 1966, but there was such a public outcry that, within a month the ABC reinstated him in a part-time capacity. 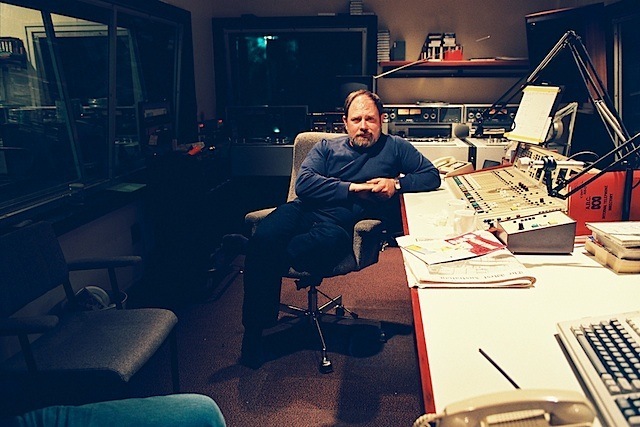 For services to radio, he was appointed M.B.E. in 1969. John finally retired in 1974, after passing the breakfast session to David Hawkes. Though his presentation delivery remained the same to the end, his manual dexterity was not always as good. On one occasion, his panel operator was wondering where a mechanical groaning noise was coming from as John was speaking. 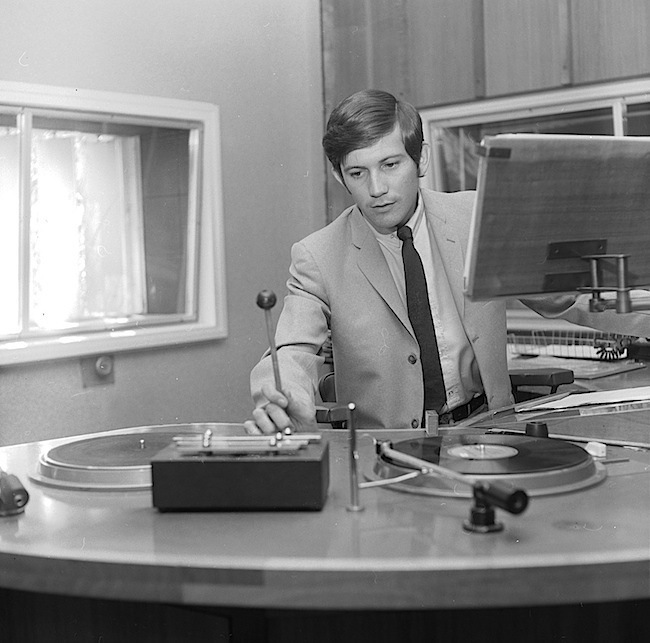 On standing to look into the studio, the operator observed that instead of slipping the record as it spun on the felt of the turntable, in preparation for a quick start, John had grasped the entire turntable, and the sound being emitted was it internally hemorrhaging as the electric motor strained whilst being restrained, hence the audible objections it made. It was not unusual for ABC announcers to have a theatrical background or an English public school education. They were people with a good speaking voice, good diction and excelled with difficult pronunciations. 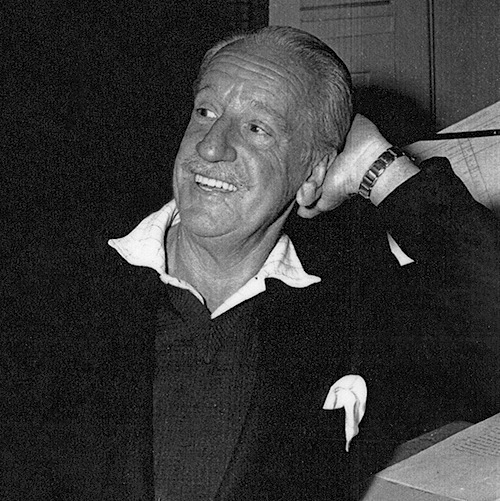 One being, Harry Graham who later became the drama producer before Tony Turner took on this role. Not only was he an early 6WF announcer but also a prominent actor and entertainer. His wife was a soprano, who performed under her maiden name Dorothy Manning. She also presented the 6WF Women’s Session as Mrs Dorothy Graham. The ABC followed the British direction set by John Reith, the BBC’s first Director-General, who imposed his dress code on BBC radio announcers, ordering them to wear evening dress to match the attire of BBC performing artists, regardless of the listening audience not being able to see them. A situation developed during the war years in 1942, that caused the ABC to have a change of heart and not compel announcers and artists to wear evening dress unless they were appearing before an audience, after it was found that men of military age who wore dinner suits were handed white feathers on their way to the studios. The ABC wanted announcers to sound professional, with an educated and cultured voice, though they did tolerate a broader local accent in sporting commentators and in announcers in regional stations. While the ABC imposed the rule of anonymity, commercial announcers were encouraged to become ‘personalities’. 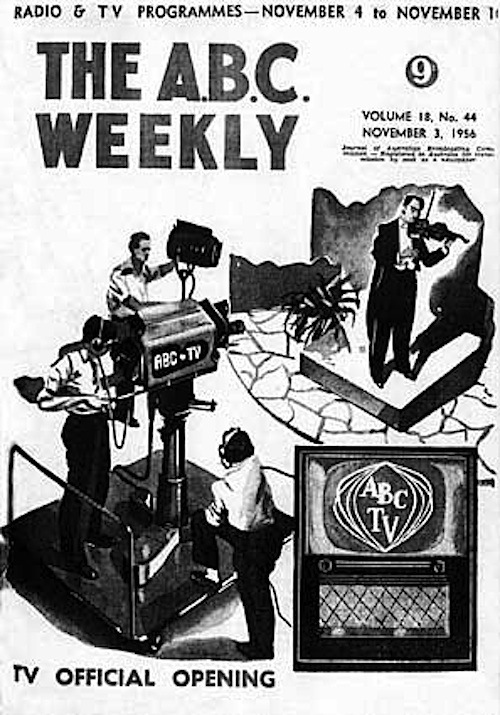 To the average person, the commercial announcers appeared more friendly, not as stern or stuffy as the ABC variety, though in reality, the ABC announcers were often the opposite in person. They needed to be well educated, knowledgeable and articulate to hold the position, yet these qualities were often combined with a quick wit and a mischievous sense of humour. This in an atmosphere of camaraderie which often led to pranks and no end of high jinks when off-air. For example: Roger Cook described the mischievous nature of Peter Harrison in his book, “More Dangerous Ground: The inside story of Britain’s Best Known Investigative Journalist”. “Peter’s favourite targets were young announcers fresh out of training. Waiting until they had gone on air, he would ignore the red ‘On Air’ light outside the soundproofed studio and wander in, putting a reassuring finger to his lips to imply he was there purely in a monitoring capacity. 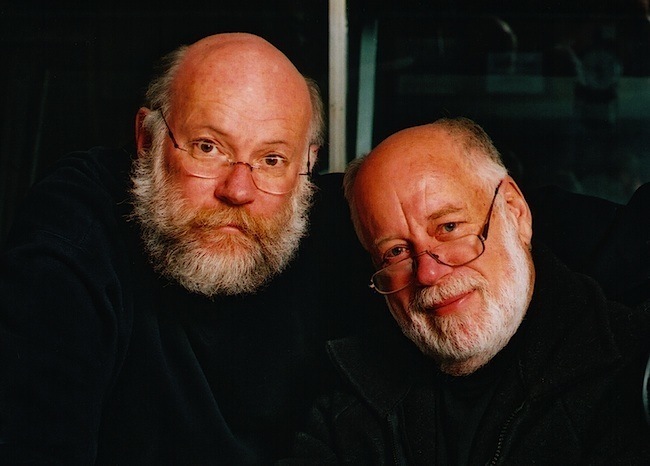 The nervous reader would plough on, glancing up at Peter from time to time. The next thing the victim would see was the stations most senior newscaster dropping his twills and underpants and lowering his buttocks down onto the grey metal wastepaper basket. He would stare fixedly at the now panic-stricken newsreader who would stutter, lose his place and generally wish for his mother to come and take him away. Peter would then up the ante, and start to strain and grimace, producing barely-audible grunts. Nothing that the listener would ever hear, but loud enough for those in the studio to pick up. 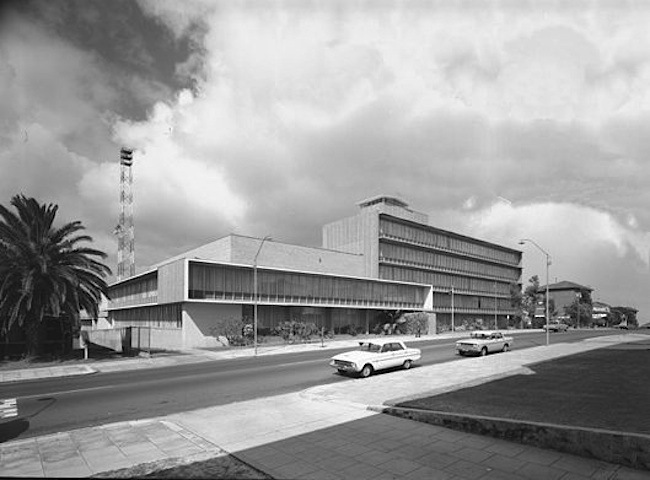 In 1960, the ABC moved from Broadcast House, to much improved facilities, on the former site of Rose Hill House, at 191 Adelaide Terrace in Perth. Licence fees for radio and TV were finally dropped in the seventies, with earlier it being legislated under amendments to the Broadcasting Act in 1948, for ABC funding to be derived from Federal Government appropriation, as announced during each Federal Budget. In March 1978, Susannah Carr became the first female TV newsreader for the ABC in Perth and the second only by a day for the ABC nationally, after starting with the ABC as a radio announcer in 1974. The Dix Report was published in June 1981, which provided a thorough analysis of the ABC’s operations and culture, among many other issues that it touch on was that of the spoken word, on which the inquiry received a number of submissions. The Australian Broadcasting Corporation Act 1983 changed the name of the organisation from the “Australian Broadcasting Commission” to the “Australian Broadcasting Corporation” effective 1 July 1983. 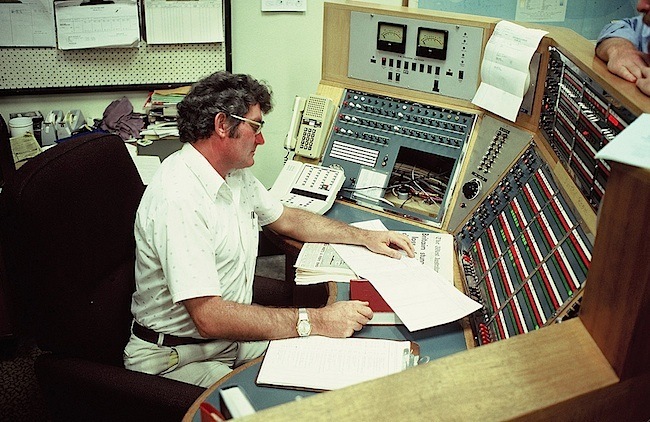 Prior to a major restructuring of ABC Radio in the 1980s, it was the tradition to use rigorously selected professional announcers with a trained voice, whose dulcet tones permeated the airwaves and corridors of the ABC for many decades, until it was deemed that a more Australian voice was the way to go, people then with a journalistic bent came into favour. Steve Altham, Steve Amos, Jim Bale, Liam Bartlett, Ian Beatty, Simon Beaumont, Danielle Benda, Megan Broad, Susan Browning, Nick Bruining, Susan Bryant, Karen Buck, Ted Bull, Arthur Burridge, Eoin Cameron, Ruth Cameron, Susannah Carr, Tony Clough, Ann Conti, Roger Cook, David Cussons, Kit Denton, Mario D’Orazio, Bev East, Grey Easterbrook, Jenny Edwards, David Ellery, Chris Fenton, Lew Firman, James Fisher, Doug Foley, Gerry Gannon, Jim Gill, Roy Glenister, Michael Godby, Dorothy Graham, Harry Graham, Ralph Gray, Don Gresham, Des Guilfoyle, David Guy, Clive Hale, Ian Halket, Pat Harding, John Harper-Nelson, Sandra Harris, Peter Harrison, Ian Hasleby, David Hawkes, Geoff Hiscock, Jodi Hoffmann, Peter Holland, Phyllis Hope-Robertson, Christian Horgan, Kevin Hume, Ted Keen, Sarah Knight, Len Jackson, Verity James, Jeff Jeffery, Murray Jennings, Tony Jennings, Robyn Johnston, John Juan, Margaret Macoboy, Ashley Malone, George Manning, John Marshall, Greg Marston, Marshall Martin, Betty May, John May, Arch McKurdy, Ramsay McLean, Geraldine Mellet, David Moore, Ron Morey, Naomi Morison, Bob Murray, Peter Newman, John Nicholls, Lucky Oceans, Michael Palmer, Greg Pearce, Kate Raston, Earl Reeve, Jim Shaw, Kate Sieper, Charles Southwood, Libby Stone, Ron Tate, Wayne Taylor, Geoff Walker, Diana Ward, Neil Watson, Harold Wells, Jennifer West, Ian Wynne and many more over the years. 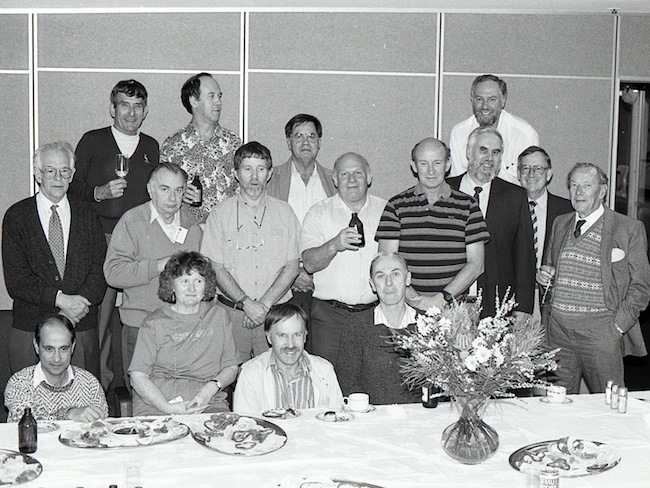 Pat Alexander, Tony Badgery-Parker, John Barnett, John Bell, Beverley-Anne Brown, Michael Brock, Ian Brayshaw, Stanley Brown, Bill Bunbury, Liz Byrski, Phillip Clarke, John Cleary, John Colwill, Dennis Cometti, James Condon, Michael Cosby, Penny Crittall, Bruce Crowl, Tony Evans, Airini Fisher, Jim Fitzmaurice, Dorothy Fleming, Jane Flemming, Wally Foreman, Kitty Gillies, Keith Gollan, Margaret Graham, Irene Greenwood, Ivo Greville, Owen Grieve, George Grljusich, Ron Halcombe, Bush Hammersley, Chris Holden, Tony Howes, Daphne James, Trevor Jenkins, Dr Roberta Jull, Robin Juniper, Peter Kennedy, Graham Maybury, Mike McCann, Bill McCutcheon, Romola McSwain, Tom Murrell, Catherine King, John McNamara, Fred Mead, Glenn Mitchell, Drew Morphett, Ted Patterson, Gladys Pendred, John Penlington, Alan Richardson, Sally Rowe, Michael Schultz, Max Simmonds, Doug Spencer, Rory Sutton, John Treffry, Paul Thompson, Alexander Turner, Robyn Turner, Erica Underwood, Gillian Waite, Diana Warnock, Caroline Watt, Grant Woodhams, Charles Woolley and more over the years. Many technical and operational staff supported the broadcasters in various ways. Firstly, there were the installation staff who were continually upgrading facilities, then the maintenance staff who kept everything running. 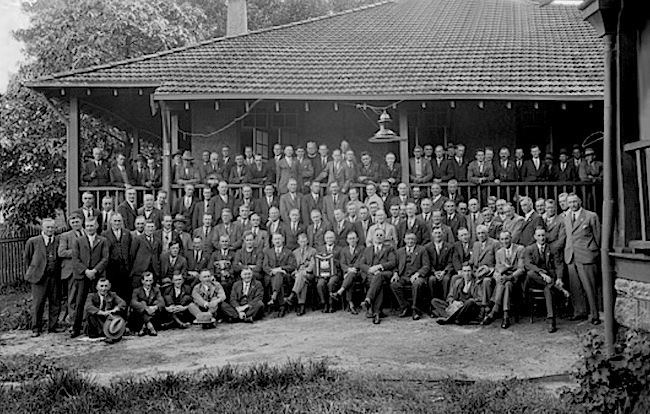 These personnel were originally PMG technical services staff, who later became part of the ABC. 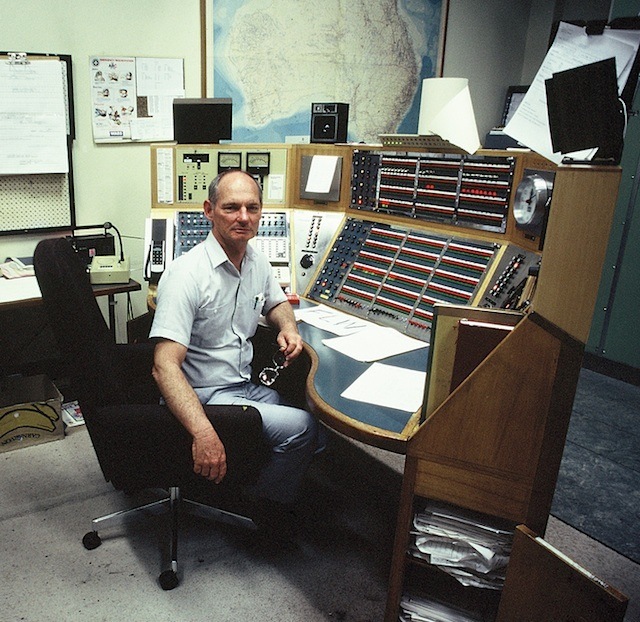 A split eventuated where greater specialisation took place, with many being dedicated to strictly operations functions, though the Master Control staff retained a close technical and operational connection. Karl Akers, Heather Allen, Eric Anderson, Ed Aroozoo, Bill Atkinson, Jody Atkinson, Paul Baerenklau, Leah Baker, Craig Balmer, Reg Bartlett, Bill Bates, Russell Bell, Roy Bennett, Ric Birch, Mick Blackett, Wally Blundell, Eric Bolding, Ken Brand, Harry Brown, Graham Boyd, Edo Brands, Wally Burke, Peter Burnett, Peter Camilleri, Dave Carlisle, Ray Carlisle, David Chesson, Arthur Chick, Jack Christianson, Jack Clare, Mike Collins, Steve Collins, George Crafter, Cyril Crofts, Ric Curtin, Roy Caruth, Ian Church, Frank Davis, Alan Dawson, Kim Duncan, Frank Eddy, Jon Farcas, Brian Gannaway, Drew Gaynor, Peter Gibson, Eric Gregory, Harry Gout, Max Grainger, Alex Grimm, Rupert Harrison, Mac Henshaw, Ken Hapgood, John Hewitt, Eric Hill, Norm Hird, Tim Hoad, Don Hope, Roi Hubermann, Howard Iffla, Nenad Jakovcevic, Reg Johns, Bruce Jones, Steve Kamp, George Karko, Trevor Kelly, Geoff Law, Toni Leahy, David LeMay, Ted Leppard, Kim LeSouef, Milton Lewis, Roland Lockhart, Ian Manning, Graham Marshall, Gary Matthews, Jim McCreschem, Noel McGowan, Ken McKay, Dusty Miller, Ralph Montague, John Morcombe, Lindsay Muggridge, Steve Napier, Jerry Newton, James O’Shea, Ron Page, Ron Panton, Joe Pauly, Mark Pemberton, Tony Popole, Robin Reed, Tom Reed, Clive Reutens, Eric Robjohns, Peter Rogers, Martin Roth, Norbert Roth, John Ryan, Noel McGowan, Julio Santarelli, Phil Sargeson, Peter Self, Tony Schlicta, George Scott, Laurie Smith, Brett Smyth, Mark Stafford, Sid Stafford, Ray Stevenson, Ray Sterling, Larry Taya , Ron Taylor, Shane Thompson, Marianna Travaglini, Theo Ut, John Van der Mosel, Sam Wainwright, Mike Warner, Bob Weggelaar, Don Weir, Bill Wheldon, Chris White, Noel Wright, John Woodley, Alf Wood, Frank Wreford, Owen Wyatt, George York and Jack Zelling. 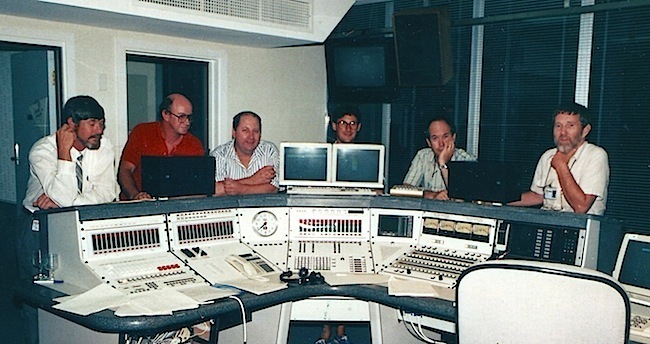 So many other important people also contributed to the output of 6WF and ABC Radio in Western Australia, from the extensive news team, orchestras, musicians, singers, actors, writers, production staff, clerical support, supply, despatch, training, canteen, administration and security, not only in Perth, but in the various regional centres. 6WF grew from a small operation which felt like a family, to hundreds of staff servicing programs to many radio and television transmitters in this State. 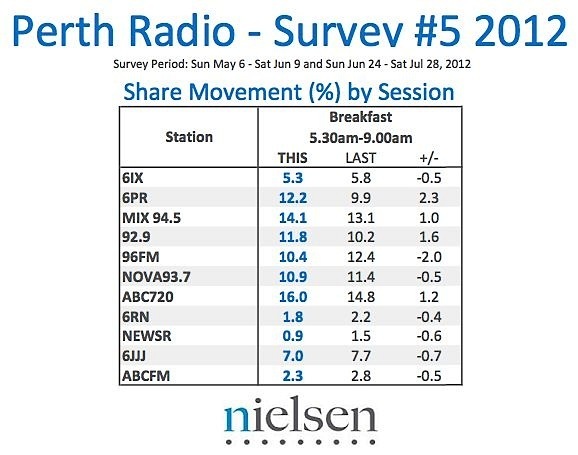 ABC Radio was restructured significantly in 1985 – Radio One (6WF) became the Metropolitan (ABC Local) network, while Radio 2 (6WN) became known as Radio National and Radio 3 the title of the regional and shortwave network became the Country Local ABC (call-signs, however, were not standardised until 1990). 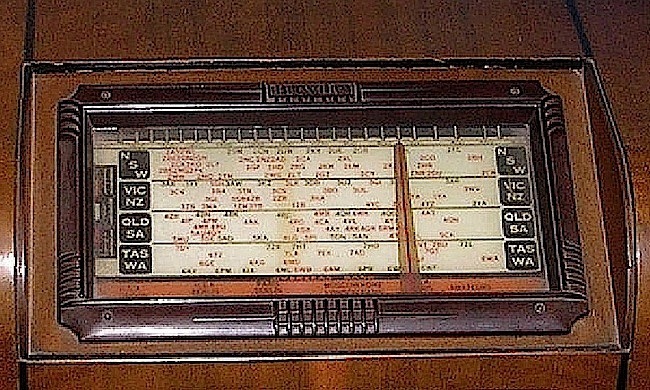 With the change of fashion, from when station call-signs were identified on the radio dial, the more universal frequency reference was adopted, so 6WF was renamed 720 ABC Perth, to represent the station broadcasting on 720 kHz on the AM band. Not only were long held ABC traditions changing, but also technology and work practices as the digital age approached. The once very stable workforce underwent many changes following numerous budget cuts, reorganisations and redundancies. 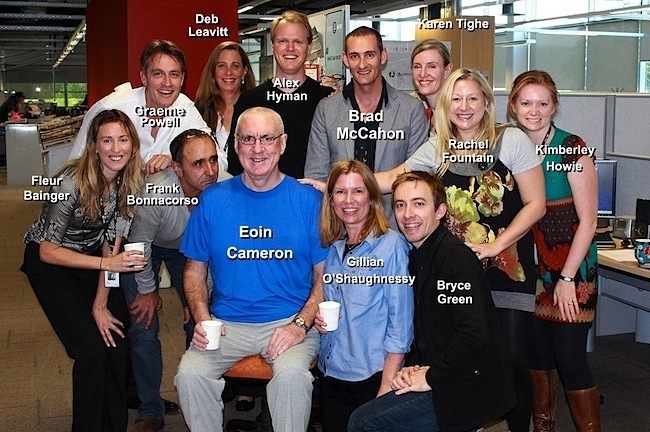 Most of the old brigade have left the fold for retirement or other pursuits, and with sadness we note the passing of many stalwarts of the ABC, who will be fondly remembered for the friendships that were made and the wonderful camaraderie that existed. All a thing of the past, like the ABC tea lady. By 2005, so much had changed with a reduced work force, spread between different buildings at the former Adelaide Terrace site in Perth, which were showing signs of age and needed much maintenance. There was a need for a smaller and more cost effective site, designed to suit a multitasking workforce with TV, Radio and News integrated within the one building, using the latest digital technology. The proceeds from the sale of the Adelaide Terrace property helped subsidise the digital installation at the new ABC site in Fielder Street, East Perth. Now Eoin Cameron regularly receives top ratings for the most popular breakfast radio show in Perth, Western Australia. Broadcasting from the station previously known as 6WF on the 720 ABC Perth breakfast show. Once thought of in a derogatory fashion as ‘Aunty’, for being staid and old worldly, the ABC has now become a trend setter, blazing a trail and being a forerunner in the use of new concepts from the use of labour saving technology to the internet age and social networking. The ABC is no longer restricted to old media and offers a real alternate should the commercial arena experience financial hardship, as younger generations turn their backs on newspapers, and free-to-air comes under greater competition. ABC Radio outlets now include Triple J, Classic FM, Radio Australia, Radio National, News Radio, Local Metropolitan and regional stations, Digital Radio with ABC Country, Dig Music (alternate for the over 25s), Jazz, Grandstand (sport), and with temporary “pop-up” stations for special events, then there’s the option to listen online. In the past, there have been calls to axe the ABC and strip the budget. Some of these calls have caught the ear of previous governments, who then punished the ABC severely. Allegedly, the BBC “suffered a 16% cut, …partly as a result of Rupert Murdoch lobbying”. Could the same thing happen here? The Guardian article is worth reading as it gives a blue print for what can take place here when too much power gets into the hands of one person. The challenge is much broader than Murdoch, of course. We’re going to be losing many, many journalists, and that means fewer competitors at the micro level. For example, there will be one film critic across Fairfax. And presumably one environment reporter, etc, etc. That gives enormous power to the few now covering special topics, in one way. In another way, though, it weakens their power, because if the boss puts the kybosh on a story, there’s no risk it will be broken elsewhere. And with Fairfax, a creature of Gina or at best an online-only tabloid site, the ABC comes under enormous threat. What would an Abbott government do to funding? Think John Howard in 1996. Remember Murdoch lobbied hard in Britain to cut funding to the BBC. Without a well-resourced, strong ABC, there is no scrutiny. Just one agenda setter. Hopefully an ABC crippled by the political clout of an elite lobby group will never happen, though there is evidence to say that this agenda is on the cards. The public will be left with few news alternatives if firstly, newspapers die out; secondly, the remaining media ends up in less hands; and finally, they succeed and the ABC is sent to oblivion. A popular ABC on-air and online, that takes readers eye balls away from newspapers, as their circulation and advertising dwindles, is unlikely to hold the newspaper proprietor’s affections. Now Murdoch is splitting his empire in two, separating print from film and television. He also wants to put more of his eggs into the Foxtel basket, so it will be interesting to see if a similar strategy is used here, as was proving a success, with a series of compliant governments in the UK, until the phone bugging incidents burst the bubble. Its up to the voters to keep the government cognisant of the ABC’s virtues and importance to a healthy democracy, as the private ownership of media is further concentrated into fewer hands. Particularly should they successfully bully governments, with the potential to modify policies which may favour an elite few, rather than be in the best interests of the majority. over two long and fun filled nights ! Some of the brilliant but slightly motley crew who either paraded or offered production support for this epic show in the Basil Kirke Studio were – Barbara Gully, Ron and Pauline Sims, George Grljusich, John Cahill, Jim McFarlane, Ronnie Gregson, Barbara Gordon, etc. If anyone out there has snaps from the show – called FUNTASMA – we would really love to get hold of same. Thankyou for such unique insights into experiences that will live with us forever. Such nostalgia. I would really appreciate it if my name was added to the list Best wishes,Chris hutchison. Hi, I am searching any history on a TV Chef Liz Smyth who did a cooking show on WA TV back in the 80’s… does anyone remember her and can you give me any information on her. I remember her show but can’t remember which channel she was on and when, she was big in her day.